Items 155- out of displayed. Checkout our latest video analysis for the USD, EUR and CHF. We are waiting on some important price action before continuation of a USD trend can be confirmed. Patience is the key! GOLD has recovered nicely in the last few days but move from 1104 is in three waves, currently with price trading at trendline resistance. Not only that; notice that leg up from around 1130 is much slower compared to previous sharp rise which is telling us that bullish momentum is decreasing which can lead to bearish reversal. Also trendline is already out for a few points which can cause much deeper sell-off. 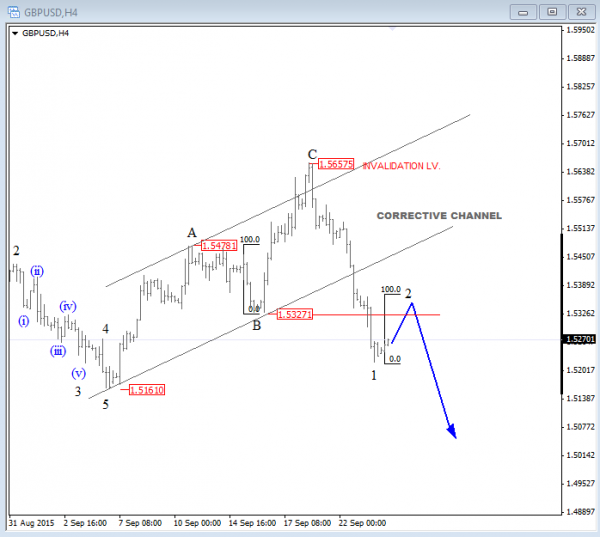 Ideally price will make a three waves down into wave E.
On the Daily chart of GBPCAD, we see a nice bullish cycle from April lows. It looks like trend made a top in red wave (v) and now we expect the price to make a three wave retracement. Red waves (a) and (b) seems to be completed, because of a sharp reversal to the downside into a red wave (c), which should have an impulsive structure, that means five waves down that we are tracking on 4h chart. Ideally price will continue to around 1.9600 - 1.9700 area, down to Fibonacci level of 50% of a previous big five waves up shown on the Daily chart. Pound is falling sharply away from 1.5657 area where we were looking for a bearish reversal last week as we were tracking move from September lows as a temporary recovery. Well, latest decline out of a corrective channel and beneath 1.5327 wave B swing low confirmed end of a zigzag at recent high. 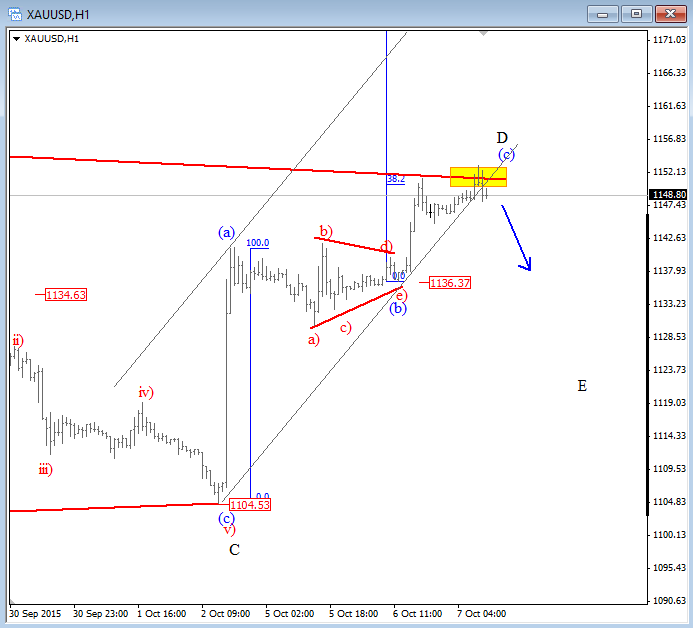 That said, a whole corrective bounce from 1.5160 should be fully retraced which means that pound will fall further. However, we may see some minor rally to around 1.5330 resistance before downtrend may resume. 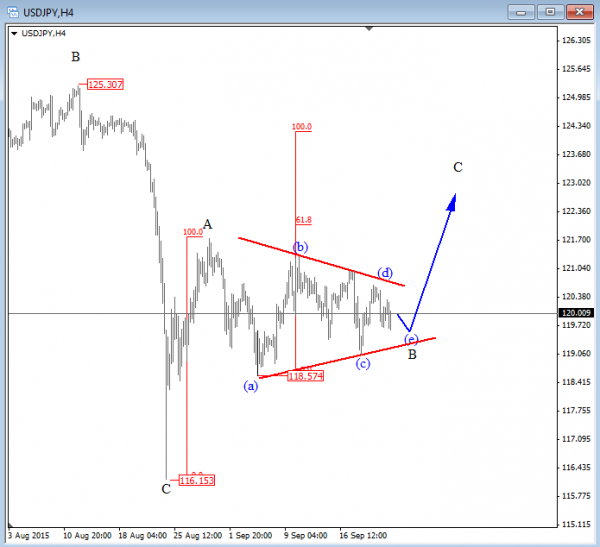 USDJPY has turned down last week so looks like that wave B is still unfolding which can be a triangle that is now near completion. That said, pair is expected to break higher, above 122.00 that can happen soon as we already see five needed subwaves in a triangle formation. 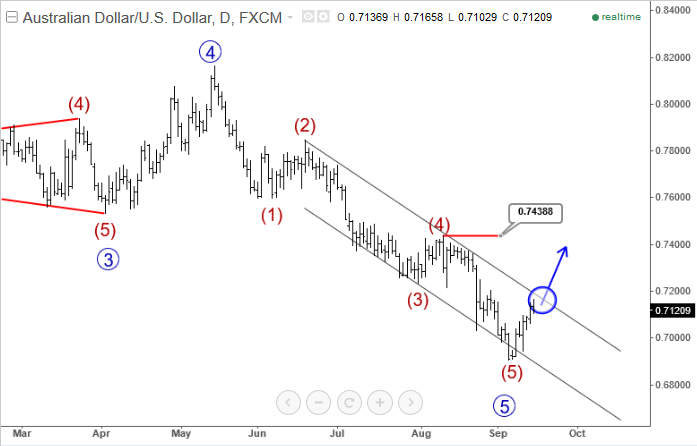 Break above blue wave (d) will confirm higher prices for wave C.
Below is our video update for the USD and EUR. It seems that US currency can continue higher soon. We are looking at blue wave 5-cirlced, which consist out of five sub waves and seems completed. That said price could now be facing a correction. When the upper channel line is taken out we will be looking at a bounce back to previous red wave (4) that is around 0.7435 area.